Every year the World Economic Forum picks a couple dozen or so up-and-coming technology startups from around the world and dubs them Technology Pioneers. In the past, Technology Pioneers have included Google and Mozilla. Last year, Mint, Etsy, and Brightcove joined the club. 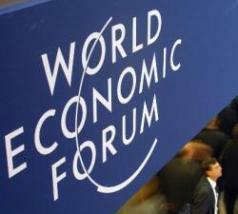 Today, the World Economic Forum is naming 26 Technology Pioneers for 2010. They include Twitter, Amiando, Playfish, Obopay, Innovid, Bloom Energy, and Boston Power. Twitter probably should have been named last year, before its huge growth spurt, but better late than never. Amiando, based in Germany, is an online ticket service which is going gangbusters. (It competes with Eventbrite). Playfish is a social gaming company based in the UK, which was recently bought by Electronic Arts for $300 million. Obopay is a mobile payments service which raised $70 million last year and now powers Nokia Money. Eighteen of the 26 companies are from the US. The remaining eight from Brazil, Germany, India, Israel, Luxembourg and the United Kingdom. The winners are invited to attend the WEF annual meeting in Davos, Switzerland in January and rub elbows with world political and business leaders.